Around 150-200 bajrang dal members were protesting in front of the mosque against the Amarnath Terror attack saying "Jai Sri Ram" when the victim was performing his namaz inside the mosque. 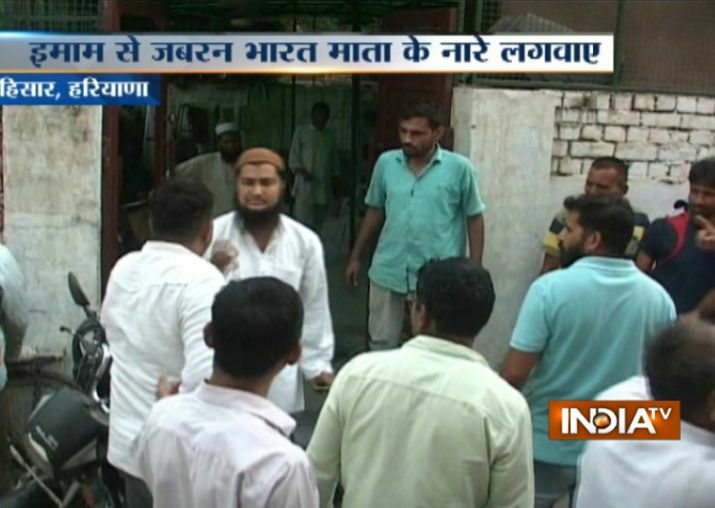 Haroon, the victim came out of the mosque after namaz and was asked to chant "Bharat mata ki jai" and "Vande Mataram" and on refusing Anil slapped him. The perpetrators also threatened that no muslim would live in the area. Police force was appointed in the area and later Anil was arrested through the video which went viral.